Philadelphia trial lawyer Ezra Wohlgelernter of Feldman Shepherd Wohlgelernter Tanner Weinstock Dodig LLP recently presented “Evidentiary Considerations” as a faculty member of the December 2011 Pennsylvania Association for Justice (PAJ) Premises Liability Seminar. Wohlgelernter’s presentation focused on motions in limine, providing insight into the handling of these motions from both the plaintiff’s and defense perspectives. The comprehensive Premises Liability Seminar, which offered four substantive continuing legal education (CLE) credits to eligible participants, was held in Philadelphia. A founding partner of Feldman Shepherd, Wohlgelernter concentrates his practice in complex personal injury claims, including medical malpractice, premises liability, motor vehicle accidents, truck accidents and other significant injury matters. He is admitted to practice and has successfully tried cases throughout Pennsylvania, New Jersey and New York. A frequent contributor to legal education programs, Wohlgelernter is also active within the legal and larger communities of Philadelphia. He currently serves as vice chairman of the SeniorLaw Center, where he has been a member of the board of directors since 2006. He is an officer of the Philadelphia Trial Lawyers Association (PTLA) and the immediate past editor-in-chief of the PTLA’s monthly newsletter, The Verdict. For nearly 30 years, Wohlgelernter has also served in various leadership positions within the Philadelphia Jewish community, including serving as a trustee of the Jewish Federation of Greater Philadelphia, Auerbach Central Agency for Jewish Education and President of the Philadelphia Community Kollel (Institute for Advanced Talmudic Research). 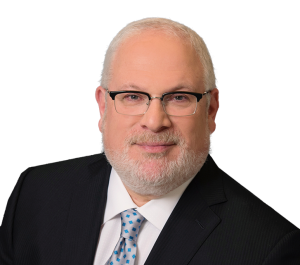 Wohlgelernter is a Philadelphia native and graduate of Yeshiva University and Temple University School of Law. He was selected as a Pennsylvania Super Lawyer® in 2005, 2009, 2010, and 2011 by Thomson Reuters, published annually in Philadelphia magazine. In 2010, he was honored with the PTLA’s President’s Award. Wohlgelernter is a member of the American, Pennsylvania, New York and Philadelphia Trial Lawyers Associations, as well as the Pennsylvania, Philadelphia and New Jersey Bar Associations.